The industry has feared B-21 would bring with it further restrictions to those implemented by B-20. The B-21 draft, which is based on OSFI’s internal review as well as the Financial Stability Board and the Joint Forum, will now enter a consultation period that is open until May 23. 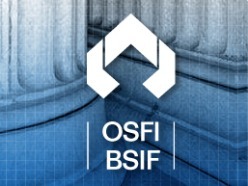 “Once comments have been considered, a final guideline will be issued and an implementation date set,” an official release from OSFI states. The six principles – which include implementing an underwriting plan, assessing mortgage lenders and their underwriting practices, and risk mitigation, among others -- can be found below. A (federally-regulated mortgage insurer) FRMI that is engaged in residential mortgage insurance underwriting should have a comprehensive Residential Mortgage Insurance Underwriting Plan (RMIUP). The FRMI’s insurance underwriting practices and procedures should comply with its established RMIUP. A FRMI should establish sound standards for the purpose of initially assessing and qualifying mortgage lenders for mortgage insurance coverage.